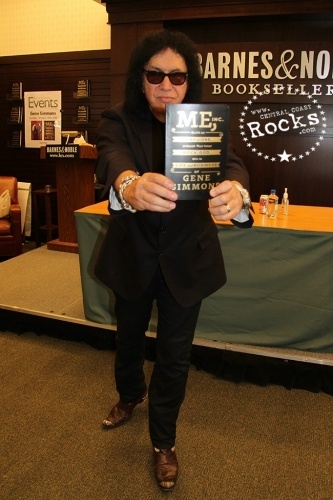 KISS bassist/vocalist Gene Simmons has released a new book, "Me, Inc.: Build An Army Of One, Unleash Your Inner Rock God, Win In Life And Business", on October 21 via Dey Street Books, an imprint of HarperCollins Publishers. 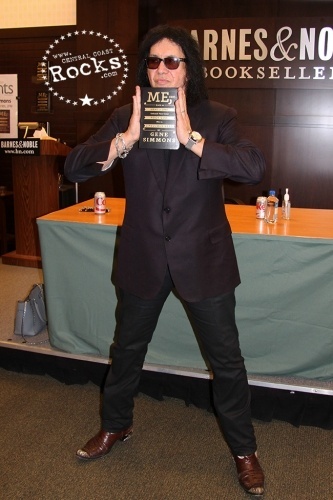 "The quintessential self-made man, master of brand identity, New York Times bestselling author, and award-winning executive — KISS' Gene Simmons —shares his manifesto for business success. 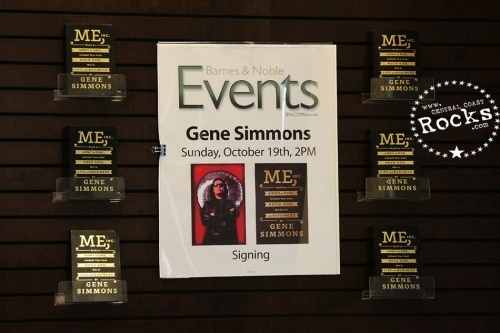 Gene Simmons conducted a book signing for "Me, Inc.: Build An Army Of One, Unleash Your Inner Rock God, Win In Life And Business", October 19th at Barnes & Noble in Los Angeles. 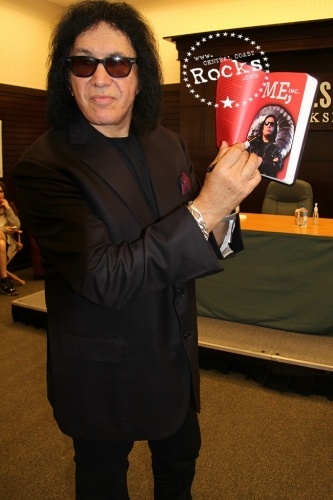 KISS co¬founder Gene Simmons is a multi¬hyphenate entrepreneur and one of the world’s most recognized personalities. In Me, Inc., the marketing and finance wizard gives aspiring entrepreneurs the critical tools they need to succeed. 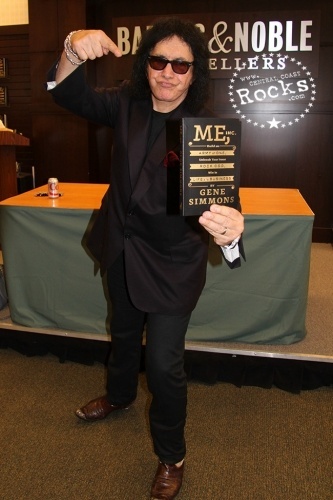 Simmons teaches you how to build a solid business strategy, harness the countless tools available in the digital age, network like hell, and be the architect for the business entity that is you. 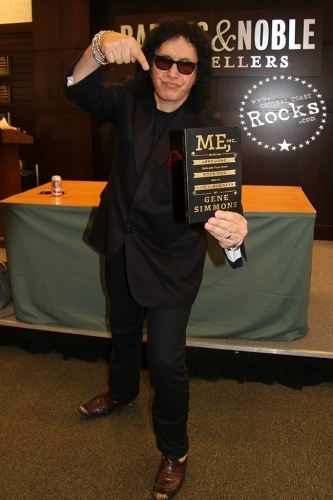 A multi¬platinum recording artist, he is also the author of the New York Times bestselling autobiography, Kiss & Make Up, and has appeared in TV and film, starring in his own show on A&E, Gene Simmons Family Jewels, which has become the longest ¬running celebrity reality show of all. 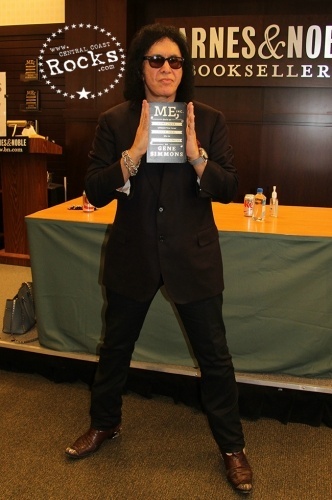 The quintessential self-made man, master of brand identity, New York Times bestselling author, and award-winning executive—KISS's Gene Simmons—shares his manifesto for business success. KISS did not become one of the most successful rock bands in history by accident. 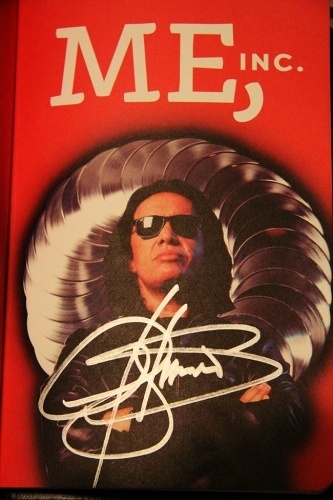 Long before he first took the stage, Gene Simmons had a clear-cut operating plan for the business. Over the past forty years, KISS has sold more than 100 million CDs and DVDs worldwide and manages 5,000 licensed merchandise items—from comic books and coffins to action figures and video games. The band received a star on the Hollywood Walk of Fame, and in 2014 was inducted into the Rock and Roll Hall of Fame. 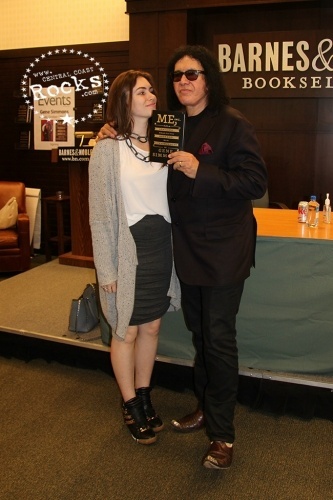 In addition to KISS, Simmons's lucrative ventures include two hit reality shows, a professional sports team, a restaurant chain, and a record label. A recipient of the Forbes Lifetime Achievement Award, this brilliant executive runs all of his businesses on his own—no personal assistant, few handlers, and as little red tape as possible. 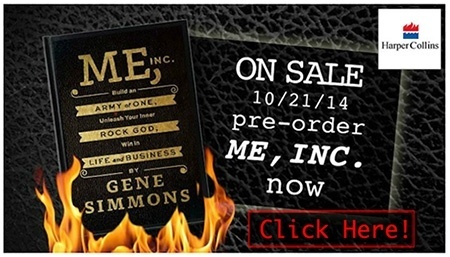 In Me, Inc., Simmons gives aspiring entrepreneurs the critical tools they need to succeed. He discusses how to build a solid business strategy, harness the countless tools available in the digital age, educate yourself, and be the architect for the business entity that is you. Inspired by The Art of War, Me, Inc. is organized around thirteen specific, easy-to-understand principles for success—"The Art of More"—drawn from Simmons's own triumphs and failures. From finding the confidence necessary to get started, to surrounding yourself with the right people, to knowing when to pull the plug and when to double-down, these principles can help you attain the freedom and wealth of your dreams. 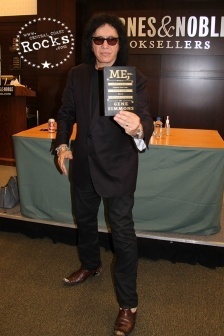 “The hard-learned wisdom laid out here is a road map for success that anyone can benefit from.” —-John Varvatos, from his foreword for Me, Inc.